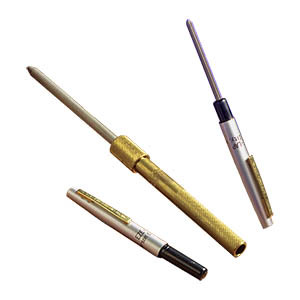 These shaft type hones are ideal for sharpening knife blades etc. The SL035 features a substantial brass handle/cover whilst the SL034 has a pen cover with a 'D' shaped rod. Dimensions show the diamond sharpening area. What's special about EZE-LAP diamond sharpeners? Made in the USA using a patented process that traps the diamond particles in a hard stainless alloy. This process produces a consistent, flat, long-lasting product that has approximately 40% more diamond cutting area than the perforated type. There is no need to use any water when sharpening with EZE-LAP products but the diamond faces benefit from an occasional de-clogging with soap and water and a scrubbing brush. 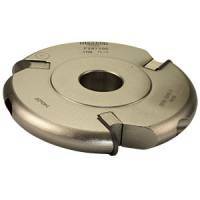 Ideal for carbide cutters, planer knives and all types of cutting tools. All bench stones are 6.3mm thick and supplied complete with a leather pouch.